Americans pay premium prices for food with the USDA organic seal. But a deeply flawed certification process lets phony products reach grocers’ shelves. It’s a saga being played out across rolling Costa Rican pineapple farms. PITAL, Costa Rica, Dec. 12, 2017 — Plenty of people knew that the numbers didn’t add up in pineapple fields here that stretch like green carpets beneath brooding volcanoes. They knew it in Washington, D.C., where the head of the U.S. Department of Agriculture’s National Organic Program voiced alarm that Costa Rica was shipping more organic pineapples than the country was certified to grow. They knew it in Pital, small-town hub of the world’s biggest pineapple exporter. Costa Rica’s surplus indicated that someone was mislabeling fruit produced less expensively with chemicals that are forbidden for organic products — thereby cheating U.S. consumers, who pay high premiums when trusting the USDA organic seal. The Costa Rican government dispatched an investigator. He assembled 1,500 pages of evidence that PrimusLabs, a USDA-accredited certifier, improperly approved Costa Rica’s Del Valle Verde Corp. as a grower of organic pineapples. In Pital, genuinely organic farmers felt vindicated. They believed they had further examples of how the pineapple company had gamed the USDA. U.S. importers, hurt by competition they considered unfair, expected strong action by regulators. But they got nothing of the kind. Instead, a NerdWallet investigation found, the USDA punted — kicking a gaping hole in the credibility of its organics seal. The federal agency abruptly closed the case last summer. Its final memo did not address the extensively documented conclusions by the investigator from the Costa Rican agriculture ministry. It’s a horrible story. This information was handed to the National Organic Program on a silver platter. Not only did the USDA allow farming company Valle Verde to choose and pay Primus for organic certification — a conflict of interest enabled by federal rules — but the agency trusted the accused certifier to declare the grower innocent. If the USDA wouldn’t act when presented with stark evidence of fraud, critics ask, how can consumers rely on the agency to police any of the annual $43 billion in U.S. organically certified food? The answer is that the system can’t be trusted, NerdWallet found. The National Organic Program, a USDA division with a $9 million budget, sets standards for labeling and accredits the agency’s 80 certifiers worldwide. Many of those certifiers have solid records. Growers, processors and handlers they approve sell legitimately organic food under the USDA seal. But the system has built-in conflicts of interest that make it ripe for abuse. NerdWallet’s investigation of two Costa Rican cases found breakdowns that defeat the system meant to safeguard organic integrity and protect consumers, wasting grocery dollars and squandering tax money. The USDA doesn’t just allow growers and processors to choose their own certifiers from its accredited list. The certifiers then get paid by those producers, even getting a percentage of sales, a financial incentive that creates a conflict of interest. USDA investigators who lack law-enforcement experience lag at times hundreds of cases behind as the market expands. Swindlers among the 37,000 businesses certified worldwide can double their money by misrepresenting food grown conventionally with chemicals forbidden in organics. But the USDA has only one compliance officer for every $9 billion in sales. The fine for each violation remains capped at $11,000. No one knows what share of the organic market is fraudulent. Consumers who want to buy organics, considering them better overall for health or the environment, must take extra steps to do their own verification. The failures found in the USDA’s certification system extend to corn and other bulk products, as The Washington Post reported in May regarding a shipload of conventional soybeans sold as organic for a $4 million windfall. In a second pineapple case that NerdWallet investigated, the USDA did not prosecute an exporter who confessed to mislabeling 400,000 pineapples as organic — a racket he’s accused recently of repeating. The agency’s organics system also has broken down along U.S. borders. The USDA Inspector General reported this year that the agency allowed food to be sold as organic despite having been fumigated at borders with prohibited pesticides. The agency’s National Organic Program develops standards that food products must meet to display the USDA organic seal. The USDA accredits certifiers — about 80 companies, nonprofits and agencies — that inspect and approve organic businesses worldwide. Certifiers make money from the organic operations they certify, collecting a percentage of sales. Critics call this a conflict of interest. The agency often trusts certifiers to probe fraud and doesn’t always investigate certifiers accused of wrongdoing. The Cornucopia Institute, a nonprofit watchdog organization, blames USDA corruption and negligence for an influx of fake-organic imports and alleged violations by domestic egg and milk producers. USDA officials refused, after three months of interview requests, to discuss the systemic failings, Primus and the pineapple cases. Primus executives did not respond to repeated requests for comment. Primus, headquartered in California, also conducts inspections outside the organics industry. The company, which sold in 2015 and changed its name to Primus AuditingOps, approved sanitary conditions four years before at a U.S. cantaloupe plant that killed 33 people in a listeria outbreak. Today, the new company continues certifying organic farms and processors, and like all USDA certifiers, it is paid not by the agency but by the businesses it inspects. Why would you rob a bank? Just go into the produce business and mislabel stuff. Customs records show that since 2015, Valle Verde’s “USDA organic” shipments to the United States have grossed more than $6 million — a $3 million markup from conventional fruit. The company’s Costa Verde-brand pineapples, which its managers insist are organic, continue reaching Safeway, Ralphs and other U.S. chains. In the United States, competing importers are aghast at the USDA’s inaction. Stuart Follen, owner of SL Follen Co., which imports organic pineapples, is angry that the agency’s compliance officer on the case stopped returning his calls last year. 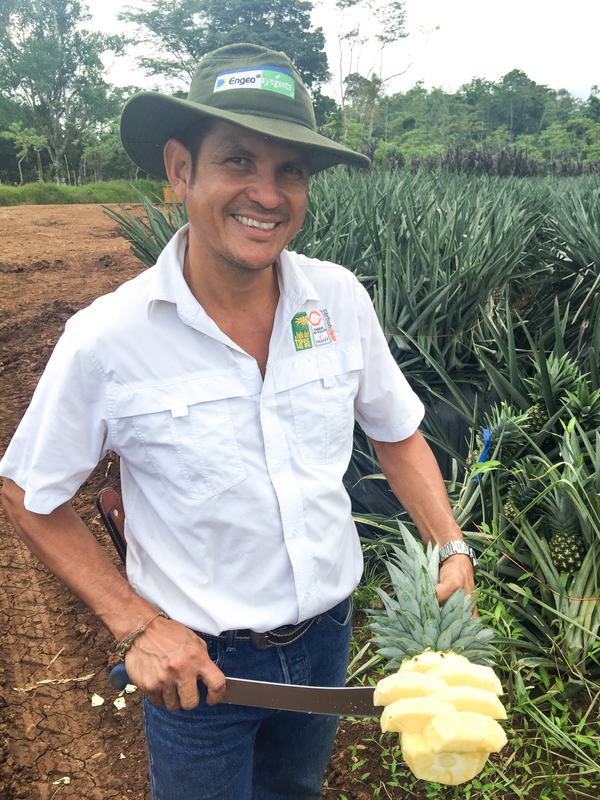 Northern Costa Rica’s pineapple king is Luis Alberto del Carmen Barrantes Quesada. The 48-year-old grew up poor as one of five children of a cassava farmer. He has built an organic fruit export venture at extraordinary speed. Barrantes heads Del Valle Verde Corp., whose name means “of the green valley.” Valle Verde subsidiaries export fresh pineapples and funnel more into a processing plant that sends frozen chunks abroad. 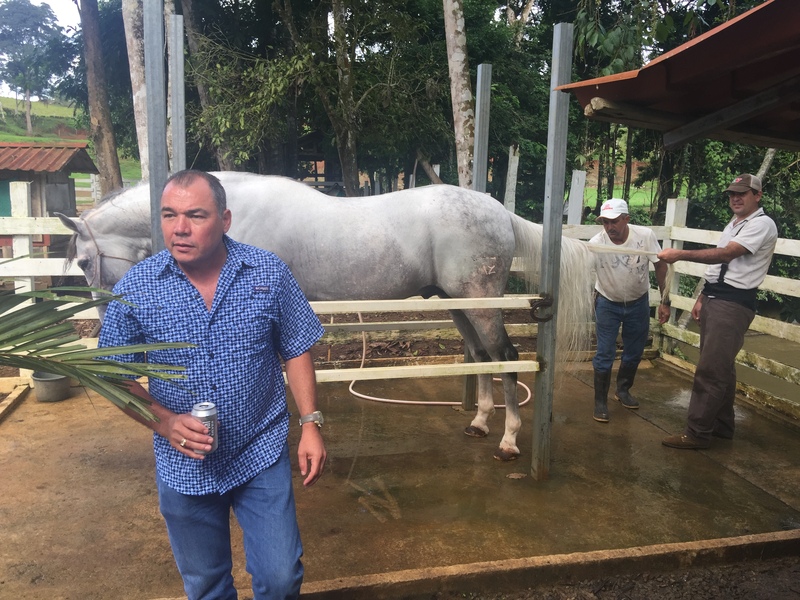 PINEAPPLE MAGNATE LUIS BARRANTES AT HIS PRIVATE RANCH IN PITAL. BARRANTES RUNS DEL VALLE VERDE CORP., WHICH A COSTA RICAN GOVERNMENT INVESTIGATOR ACCUSED OF EXPORTING BOGUS ORGANICS TO THE U.S.
Barrantes’ companies capitalize on Costa Rica’s renowned international image as a center of ecological wonder. 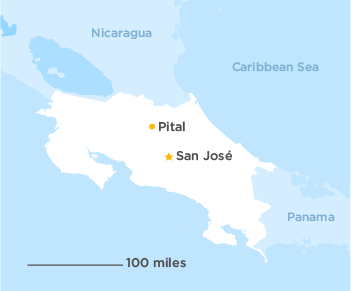 A country slightly smaller than West Virginia, Costa Rica — with its ethos of “pura vida,” or pure life — is known for wholesome natural products, sustainable tourism, pristine beaches and protected wildlife reserves. In Pital, a pineapple capital that ships hundreds of truckloads a day, Barrantes waves to friends from his SUV. He points out houses where his mother and other family members live. He swings by his ranch, a Disney-style spread with a rodeo ring, show horses and 20 prized bulls. When questions become pointed in Valle Verde’s conference room, Barrantes stands up from his chair. He defers to his farm manager and company attorney, saying he only made it through sixth grade. Barrantes spent much of a day driving a reporter through pineapple fields on steep hills outside Pital. He stopped to pluck a pineapple and slice it deftly with a machete into juicy samples. At his luxurious private ranch, Barrantes displayed strutting turkeys, a rare sight in Costa Rica, as he urged a reporter to stay for dinner and beers. He spoke proudly of hosting a recent rodeo-themed event for 1,000 to benefit struggling local families. Barrantes said that concern for the environment prompted him to begin growing organics in 2013. Valle Verde was able to plant them immediately on land that had never been chemically treated, he said. The company jump-started exports by buying organics from local USDA-certified farms. But nearby organic farmers, including some who supplied Valle Verde, tell other stories. 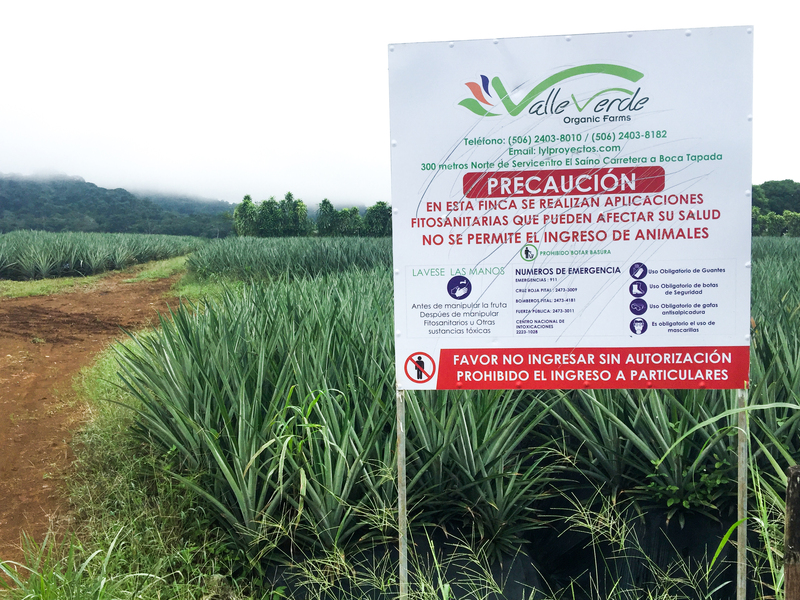 Jose “Pepe” Castro Otarola told the Costa Rican investigator that after his USDA-certified farm sold organic pineapples to Valle Verde, a company worker had him sign duplicate invoices that could be used to exaggerate export quantities. In an interview on Costa Rica’s Flecha TV news, Castro said he watched Valle Verde workers dump a truckload of his organics into a rinse that he had just seen them use to wash conventional fruit. Werner Lotz, another local grower who spoke to NerdWallet and Flecha, sold organic fruit to Valle Verde in amounts that the company inflated, the investigator wrote. To produce that much fruit, he calculated, Lotz’s farm would have had to have been nine times its 5-hectare size. Valle Verde’s former farming boss provided an even more troubling inside view. JOSE “PEPE” CASTRO OTAROLA TOLD A COSTA RICAN INVESTIGATOR THAT VALLE VERDE HAD HIM SIGN DUPLICATE INVOICES TO EXAGGERATE EXPORT QUANTITIES. Nestor Andres Ramirez Acuna, who managed the company’s farming operations through 2012, said in an interview that it had no plans then for organics, a conversion requiring lengthy preparation to buy natural fertilizers, train workers, segregate conventional crops and overhaul farming methods. “We used pesticides in the fields where they grow these organic pineapples,” said Ramirez, who convinced the investigator that the land should not have been certified. Barrantes denies the farmers’ allegations. While farmers say they saw irregularities on the ground, officials in Washington, D.C., and San Jose, Costa Rica’s capital, flagged the country’s organic-pineapple surplus. 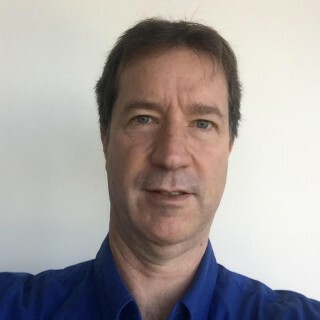 Miles McEvoy, then the National Organic Program director, told Costa Rican pineapple executives in October 2015 that the numbers needed attention. In March 2016, a top official at Costa Rica’s agriculture ministry received more complaints from pineapple industry managers that the nation’s organic exports exceeded its certified capacity. He assigned Jose Miguel Jimenez Mendez, a ministry agrochemist, to investigate. The search for fake organics was a delicate assignment for Jimenez, 50, a certified international organics inspector trained at Costa Rican and Mexican universities. He would have to review work by colleagues who showed signs of growing too close to companies they inspected. Jimenez would need to retrace steps of international certifiers such as the Costa Rican branches of Primus and Kiwa BCS Oko-Garantie GmbH, a German firm also accredited by the USDA. Jimenez had a vast territory to search. Spiky pineapple plants roll out like shoulder-high shag carpets, covering the equivalent of seven Manhattans worth of land in Costa Rica, the world’s top exporter of the fruit named for resembling pine cones. More farmers are converting to organic amid controversy over contamination of soil and groundwater from the use of pesticides and fertilizers in the country’s pineapple boom. The switch isn’t easy, even in Costa Rica’s ideal warm climate and rich volcanic soil. Jimenez knew that to meet USDA requirements, farmers must normally wait three years to plant in a field that once grew conventional crops, allowing chemicals to dissipate. Without pesticides, farmers take on greater risks of insect outbreaks and disease. Learning to prevent and treat these scourges takes time, money and labor. I discovered that pineapple being exported was not organic. The investigator also knew that dishonest farmers could profit by spending less to grow conventional fruit and inflating the wholesale price by falsely labeling it organic. Jimenez began by visiting Compania Frutera La Paz, a processing company that buys fruit from certified-organic farmers and slices and freezes it for export. He found that the amount of organics purchased matched the quantity sold. Therefore, he concluded they were genuine. “I discovered that pineapple being exported was not organic,” said Jimenez, as he alleged in two meticulously documented reports. Jimenez wrote that he found chaos in the agriculture ministry file documenting the transition of Valle Verde fields from conventional to organic farming. Plots changed sizes and locations. Soil analyses and land-use records were missing. Pages had been mysteriously added to the official record, he wrote. 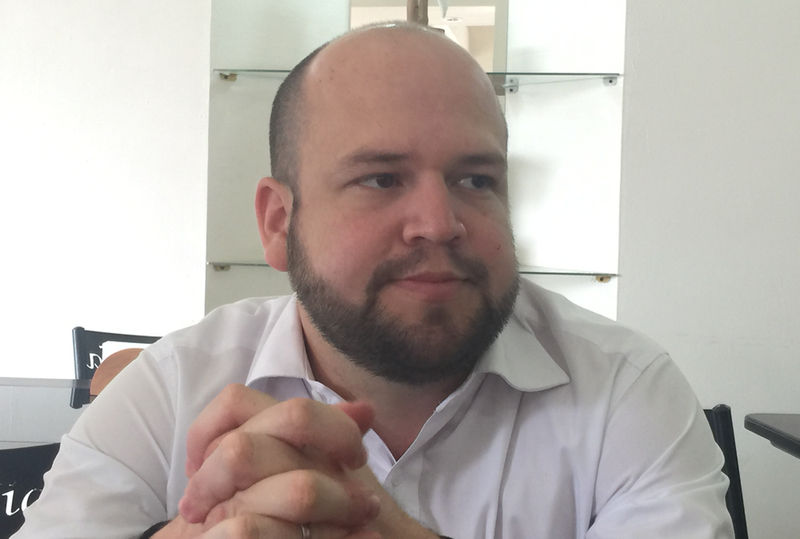 Francisco Dall’Anese Alvarez, then director of the Costa Rica Agriculture Ministry’s State Phytosanitary Service, assigned Jimenez to investigate. The ministry, which normally supervises organic transitions before USDA-appointed certifiers get involved, had allowed some land to convert in weeks instead of years, Jimenez wrote. Farms lacked required vegetation barriers between organic and conventional crops, he wrote. Jimenez checked with suppliers of plastic sheets, which growers often use instead of chemicals for weed control. 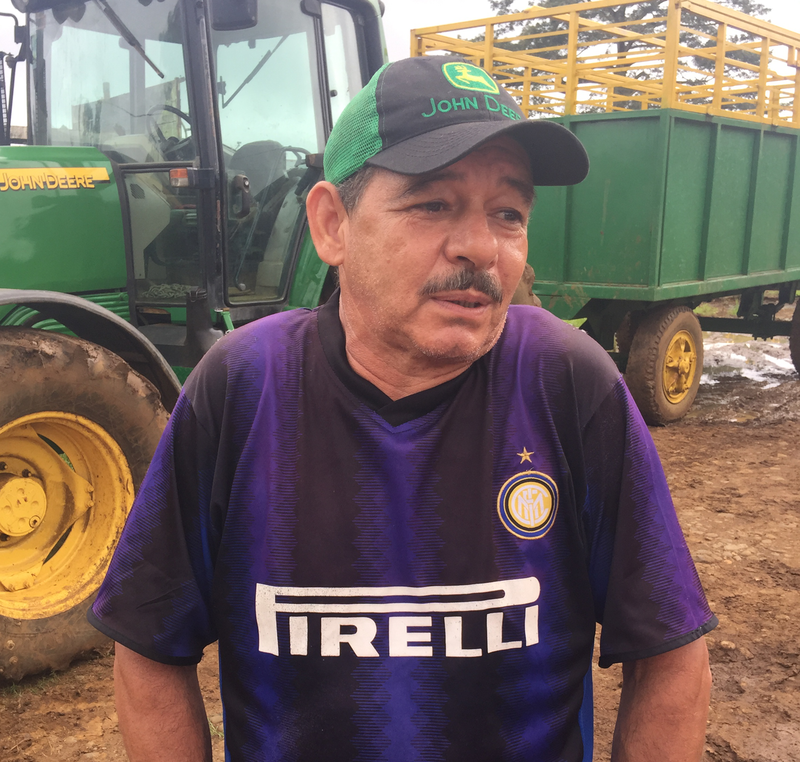 He found that Valle Verde didn’t buy enough plastic to cover its acreage, and began buying other organic farming supplies late in the process. He wrote that information provided by Valle Verde, the ministry and Primus, which first certified the farming subsidiary in July 2015, did not coincide. Jimenez also found that numbers didn’t balance at the Valle Verde processing subsidiary that shipped frozen chunks to HEB Grocery Co. and other U.S. chains. Kiwa’s Costa Rican branch had been certifying the processing operation for the USDA since February 2014. Jimenez examined records of 47 Valle Verde shipments exported to the United States and sold for $2.3 million during a one-year period. He concluded that shipping containers contained an illegal mix of conventional and organic fruit. 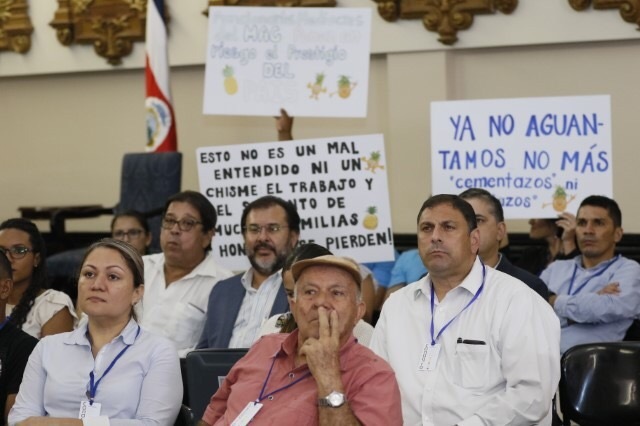 Jimenez’s boss, Francisco Dall’Anese Alvarez, then director of the ministry’s State Phytosanitary Service, acted on the findings in May 2016, suspending organic certification of Valle Verde’s processing plant, which sliced and froze pineapples for export. Dall’Anese had come to the agriculture ministry from the private sector. He was pushing reforms that disturbed the bureaucracy. The Dall’Anese family name is synonymous with integrity in Costa Rica, where as a crusading attorney general, his father and namesake, Francisco Dall’Anese Ruiz, led corruption investigations of two presidents. The younger Dall’Anese suspected that government employees had become too cozy with major growers to conduct an impartial investigation of an important industry. He pulled Jimenez from another ministry job for the investigation. After Dall’Anese suspended the plant, Kiwa followed his lead, pulling its USDA organic certification. Officials sent the USDA Jimenez’s first report, which Primus U.S. headquarters also received. But then the case turned sideways in Costa Rica. We used pesticides in the fields where they grow these organic pineapples. In June 2016, Dall’Anese left the government because, he says, he refused to sign false documents unrelated to the Valle Verde case. He said Jimenez had done excellent work. But Dall’Anese could no longer protect him. Six months later, an agriculture ministry panel reversed the suspension of Valle Verde’s organic status. Kiwa also lifted its suspension. The panel dismissed Jimenez’s investigation as biased, irresponsible and arbitrary. A hearing transcript shows the panel deferred to Valle Verde’s attorney for substantive questions of witnesses. Jimenez testified, but said the panel overlooked his key findings. “I was never called in to explain different aspects of the report, or how I’d reached conclusions,” Jimenez said. But Jimenez persisted. Dall’Anese’s successor, a longtime agriculture ministry official, initially directed him to continue work. By then Primus and Kiwa were also investigating Valle Verde, their customer. On Oct. 10, 2016, Jimenez completed his second report on Valle Verde, concentrating on its farming operations, and submitted it to the agriculture ministry. Yet Valle Verde continued to get approved. A sign designates a Del Valle Verde field as organic. 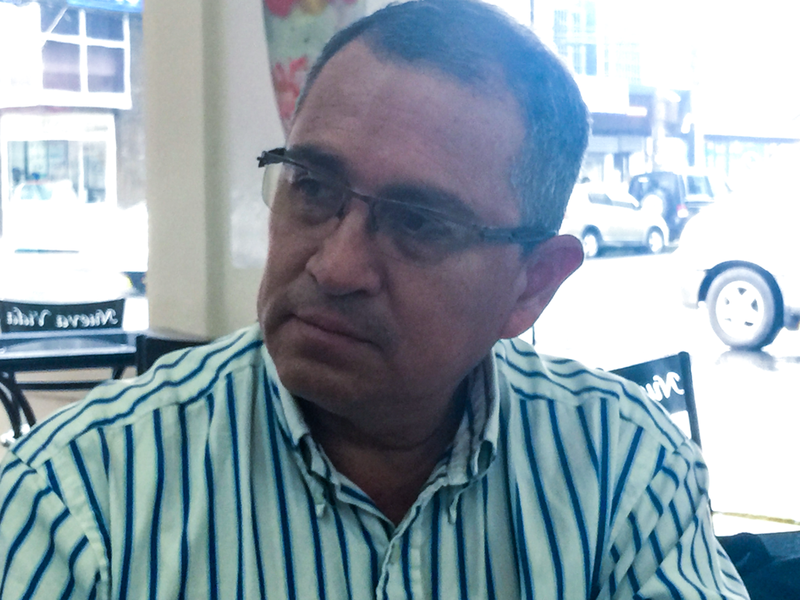 Humberto Gonzalez Guerrero, then director of Primus’s Costa Rica branch, recertified Valle Verde’s farming subsidiary in December 2016 even though the company’s processing branch was suspended by the agriculture ministry. Soon after certifying his client, Gonzalez left Primus to head Kiwa’s branch. Gonzalez took Valle Verde’s business with him to his next job. At Kiwa last summer, he certified the company’s farms again. He said in an interview that Kiwa and Primus had certified Valle Verde correctly at all times. Word of an issue regarding Primus’s involvement did reach McEvoy, the National Organic Program director, according to documents among thousands of pages obtained by NerdWallet from the USDA under the Freedom of Information Act. “Please develop a plan to address the Primus issues in Costa Rica,” McEvoy wrote in an email to staff members July 7, 2016. USDA compliance officer Karin French followed up. She launched what could have developed into a full-fledged investigation of Primus, Kiwa and Valle Verde. French noted on July 18, 2016 that the USDA’s Organic Integrity Database, a web-based compendium of businesses and certifiers, contained no mention of Valle Verde’s suspension. The database is riddled with errors and omissions. 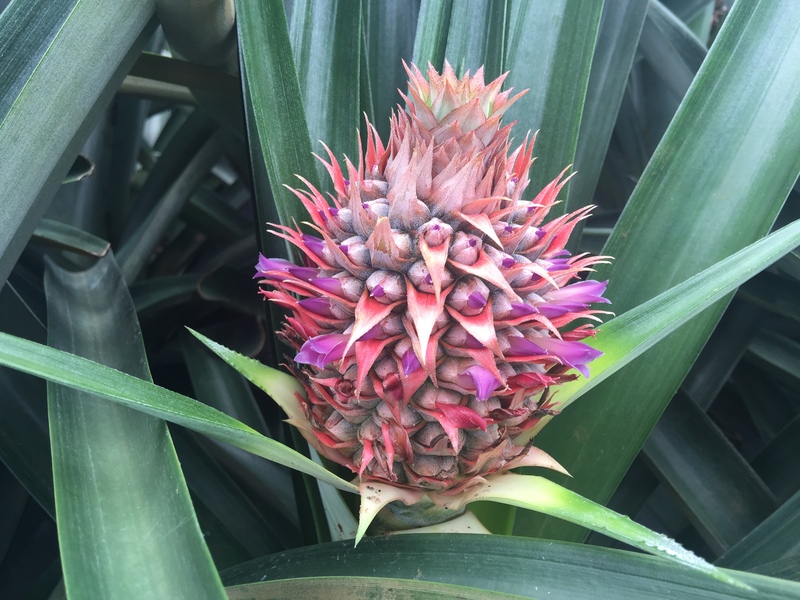 A young pineapple plant in Costa Rica. Like some others at the agency, French lacked investigative or law enforcement experience. After earning a master’s degree in animal science, she had moderated social media before a job as a federal program analyst led her to USDA organic enforcement. French transferred to a USDA grants management job while the pineapple cases remained open. Nothing in the file indicates that she traveled to Costa Rica. On Aug. 3, 2017, the USDA issued a case closure memo signed by Betsy Rakola, the department’s new compliance and enforcement director. Rakola is a former organics policy advisor and marketing specialist. She also lists no investigative or enforcement skills in her extensive LinkedIn entry. Rakola’s memo closed the Valle Verde case and the earlier one, in which the USDA failed to prosecute the confessed ringleader, in an agency drive to clear a backlog. Clearly, the USDA was done with Costa Rican pineapples of whatever stripe. Rakola’s memo did not address Jimenez’s findings. She wrote that “several additional complainants, who appear to be competitors” of Valle Verde, contacted her agency with concerns of fraud after they received “preliminary investigative materials” from his first report. That was news to the complainants. They include farmers and other Costa Rican pineapple industry members who formed an anti-fraud organization called Canagro, the National Chamber of Organic Agriculture in Costa Rica. Three months before Rakola’s memo, Canagro had sent a 910-page “Complaint Against PrimusLabs” to McEvoy, French and top Primus managers. The agency’s failure to directly investigate either the certifiers or Valle Verde doesn’t surprise Richard Mathews, who served in senior USDA National Organic Program positions for a decade, ending in 2009. He now directs the Western Organic Dairy Producers Alliance, a farmers’ association. Mathews said that the agency’s team of five compliance officers routinely depends on certifiers to investigate. He estimated that until recently the officers faced a backlog of about 500 cases; they closed hundreds of them this year in a drive to reduce the backlog. “That’s the way they handle all their enforcement, except for what I call ‘cubicle enforcement,’” said Mathews, referring to Washington, D.C., desk work. The earlier Costa Rican pineapple scam, which the USDA did directly investigate, fit that description. Compliance officers worked that case for two years via email and phone. Mathews accuses McEvoy, the former National Organic Program director, of gross mismanagement, saying he “failed miserably” at rule making, accreditation and enforcement. He said McEvoy surrounded himself with former certifiers during his eight-year tenure, tilting the table still further toward the outside agents. McEvoy retired in October, soon after the Inspector General’s report about fumigation of organic food at U.S. borders. For three months, NerdWallet asked to interview USDA officials concerning systemic issues and the pineapple cases. A reporter submitted detailed interview questions at officials’ request. But USDA public affairs officials were unresponsive, in contrast to the agency’s public-records unit, which released scores of documents during the same period. David Glasgow, USDA agricultural marketing service public affairs director, characterized NerdWallet’s proposed discussion topics as detailed and then as vague. He said that the National Organic Program was just one of many programs his office covered, adding at one point that officials were busy with fiscal year-end issues. On Nov. 9, a deputy spokeswoman emailed that an interview would not be possible. McEvoy did not respond to an interview request after his departure. One of the invoices farmer Pepe Castro Otarola told a Costa Rican investigator that Valle Verde had him sign. Members of Congress are concerned by the regulatory system, which U.S. Sen. Pat Roberts, R-Kansas, calls unreliable. Roberts, chairman of the Senate Committee on Agriculture, Nutrition and Forestry, said at a July committee hearing that “uncertainty and dysfunction” had overtaken organic regulations. Rep. John Faso, R-New York, is sponsoring a bill that would boost the USDA’s annual $9 million National Organic Program budget and give the agency access to Customs databases. Consumers paying a premium deserve to know that products are truly organic, Faso said. “Also we want to make sure that the people who are making certifications abroad are accurate and reliable,” Faso said. His bill would strengthen USDA authority over certifiers’ foreign offices, such as the Costa Rican branches of Primus and Kiwa. But reformers aren’t going so far as to address the conflicts of interest that critics cite as the fundamental flaw, the practice of businesses choosing and paying certifiers. John Bobbe, executive director of Ofarm, a group of U.S. organic grain and livestock producers whose businesses have been undercut by fraud, says that if certifiers were employed by the USDA, they’d be more likely to be objective. Under the current system, organic farmers or processors who anticipate bad inspection results can switch certifiers, he said. 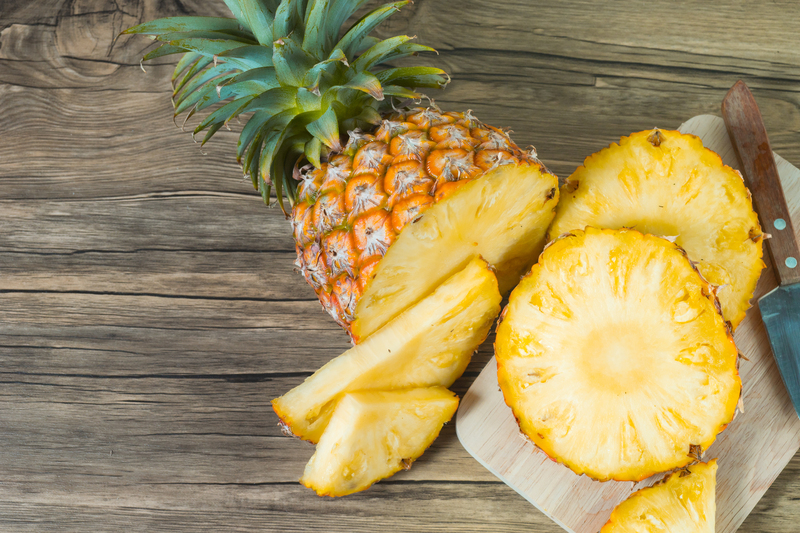 In the course of this investigation, NerdWallet purchased 12 Costa Verde-brand fresh pineapples in Oregon and California, and a bag of Valle Verde frozen chunks in Texas, and sent them for testing by a USDA-compliant lab. The tests detected no chemicals prohibited for organics. While a test result exceeding USDA maximums would reveal a violation, an absence of chemicals doesn’t prove organic authenticity. Chemicals would be difficult to detect if applied at the start of the 10-month growing period when their effect would be greatest, pineapple farmers said. Agricultural engineer Jean-Marc Caminade, pineapple sales manager for global fruit conglomerate Compagnie Fruitiere Paris, orders lab tests weekly when buying from a new organic grower. “If they are clever and using pesticides at certain moments, then you cannot find any residues on the fruit,” Caminade said. Caminade said he started buying organic-labeled pineapple from Valle Verde in 2015. But he said that the company had repeated problems supplying government inspection forms to prove each shipment was organic, as the European Union’s more strict system requires. The EU requires not only producers but organic brokers and importers to be certified, establishing a chain of accountability from farms to wholesale distributors. 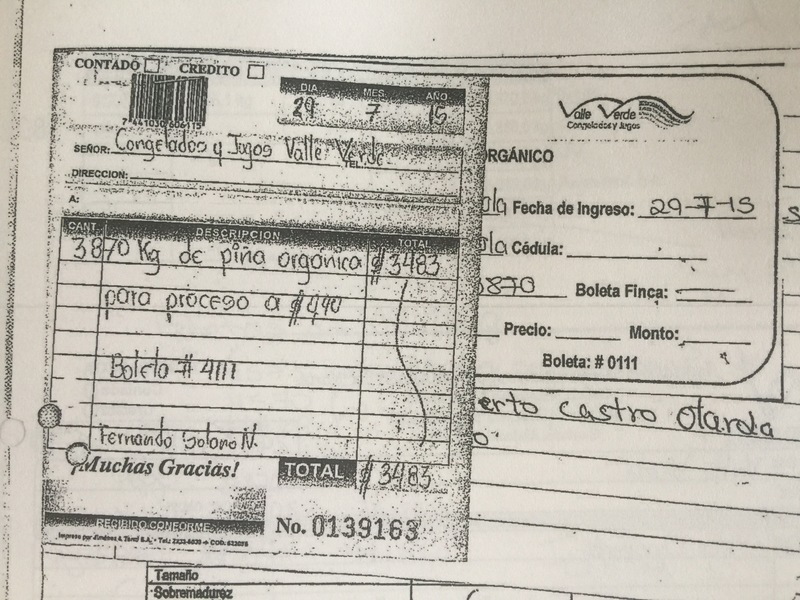 Paperwork that Valle Verde ultimately sent to Caminade listed pineapples bought from Pepe Castro, the farmer who described irregularities to Jimenez. Caminade ended purchases after Valle Verde abruptly raised its price, a move that he regarded as a pretense. Caminade has not visited Valle Verde. But he said that a visitor who tours a genuine organic farm and talks to the grower can sense integrity. When you see a price of 50 cents a kilo, it shows that fraud is happening. There’s no way you can grow it for that. As an example, Caminade cited Valle del Tarso, a farm in Upala, northwest of Pital. Here, farmhands from neighboring Nicaragua live and breathe organics. Production manager Isaac Bustos Boza stresses prevention, taking extraordinary measures to safeguard his MD2s, organic versions of the Gold Extra Sweet pineapple pioneered in Hawaii and revered by aficionados worldwide. The sweet, juicy variety perfected in 1996 by Fresh Del Monte Produce Inc., triggered the pineapple boom but proved vulnerable to pests and disease. Prevention is expensive and takes practice. Instead of applying a chemical insecticide to kill worms, for example, the farm uses a fruit product from the neem tree grown in Australia. Valle del Tarso makes natural insecticides from chili pepper and tea. It ferments organic fertilizers from pineapple waste. The farm is carbon neutral, with certifications from the Rainforest Alliance and GlobalGAP, as well as the USDA. 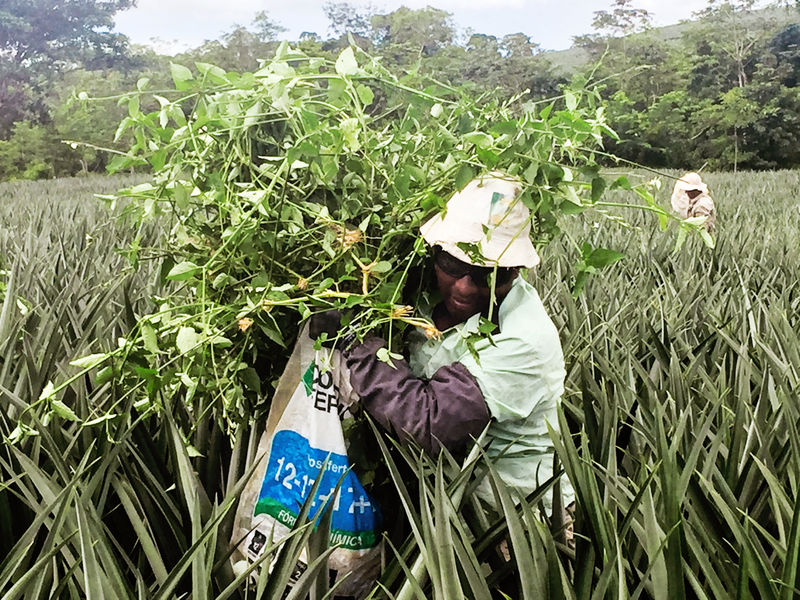 A Costa Rican organic-farm worker carries weeds from a pineapple field. The farm is the kind of enterprise that Mark Kastel, co-founder of the nonprofit Cornucopia Institute, cites when urging skeptics not to let a few bad pineapples spoil the lot. Yet Bustos says that low prices in the pineapple industry are warning signals. Flooding the Costa Rican market with fake organics depresses the price and makes it difficult for legitimate farmers and processors to cover their costs. Prices have fallen to the extent that managers at Compania Frutera La Paz, the first processor that Jimenez checked in his investigation, decided in November to cut their losses by selling frozen organic pineapples as conventional. La Paz managers say the company took a $100,000 hit. In recent weeks, Costa Rican television reporters have converged on pineapple fields, questioning more farmers about Valle Verde. A member of Costa Rica’s congress held a news conference, calling for action by the agriculture ministry. Amid the publicity, Valle Verde owner Luis Barrantes may be ready to walk away. A ministry official said the company is withdrawing some farms from organic status. Ministry records show that an official inspecting a neighboring farm recently smelled what he believed to be the telltale odor of diazinon, an organic-banned insecticide, emanating from a Valle Verde field. The ministry is investigating. On Dec. 5, the ministry disclosed that Costa Rica’s national police had seized documents concerning the agency’s decision to lift Valle Verde’s suspension as an organic processor. A week later, company competitors challenged that reversal in a lawsuit that accuses officials of ignoring evidence and railroading Jimenez. After two turbulent years, the Valle Verde pineapple saga is undergoing a plot twist. But the word around Pital is that more growers are lining up to play the organic game. And Pital isn’t the only place that stinks. NerdWallet investigative reporter Alex Richards contributed to this article. News conference photo by Orlando Rojas Esquivel. All others by Richard Read, NerdWallet. Rich is an investigative journalist on NerdWallet’s public interest reporting team, probing issues that affect consumers.